A total of 16 members of the Turku City Council in the Finnish city of Turku have signed a petition to reduce greenhouse emissions by using mini-NPPs, as a local solution for generating heat and electricity, prompting a heated debate, national Finnish broadcaster Yle reported. "It is the solution of the future for producing heat. Nuclear power is really environmentally friendly, more environmentally friendly than bioenergy," Matti Vähä-Heikkilä of the Green Party said. Vähä-Heikkilä referred to research showing that timber, wood shavings or other popular sources of bioenergy are not as CO2-neutral as previously thought. By contrast, nuclear power will reduce CO2 emissions and help Finland achieve its climate goals. Vähä-Heikkilä stressed that the difference between "classic" NPPs and mini-NPPs based on modular reactors is huge. Varying in size and capacity, a mini-NPP can provide anywhere between 10 MWT and 300 MWT, thus providing enough heating for the whole Turku area encompassing several hundred thousand inhabitants. By contrast, Unit 3 at the Olkiluoto NPP in western Finland, currently under construction, will have a capacity of 1,600 MWT. While similar ideas were even previously proposed for the capital area in Helsinki, as was reported by the local Helsingin Sanomat daily, it was met with a cold shoulder in the scientific community. Researcher Peter Lund, a professor of technical physics at Aalto University in Greater Helsinki slammed the idea as expensive and counterproductive for the local economy, as it relies exclusively on imported technology and would also need a backup system in case anything goes wrong. "The idea of a local mini-NPP plant may indeed sound like a satisfying and more favorable alternative. But if you consider the necessary safety requirements, the technology will be complicated and expensive," Lund told Yle. The mini-NPPs pose the same problem of nuclear waste management as "classic" NPPs, Lund argued. While Helsinki aims to be carbon neutral by 2050, Turku has the same aspirations for 2029, which is why the idea of mini-NPPs is being touted, Lund pointed out. "The very idea of mini NPPs feels like a panic reaction to reducing the high carbon dioxide emissions and the use of coal. It is a quick solution to a problem that requires more long-term ones," Lund argued. Despite NPPs producing minimal emissions, Lund argued that waste and safety issues don't automatically make them a more sustainable and a cleaner alternative. Instead, he argued, Finland should bet on renewable energy, such as wind or solar power, as well as improve heat management, which is a common trend across Europe. In a mini-poll conducted by Yle, popular support for a local mini-NPP in Turku turned out to be almost non-existent. As of today, Finland has two NPPs in action with two reactors apiece — the Soviet-built Loviisa NPP and the Swedish-built Olkiluoto NPP — with a third one in the pipeline. 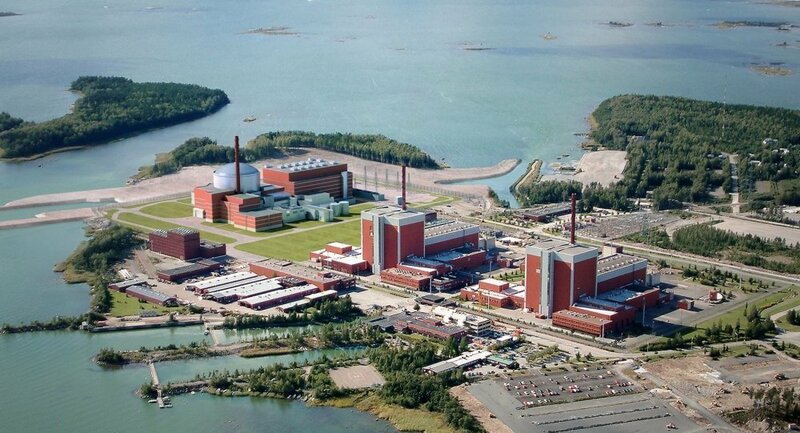 The Hanhikivi-1 NPP in Pyhäjoki is slated to house one Russian-designed VVER-1200 PWR reactor and is intended to supply 10 percent of Finland's entire energy demand. Meanwhile, the idea of local or movable power plants is gaining ground. The Akademik Lomonosov, the world's first floating NPP built by Rosatom, was specifically designed for service in remote parts of the Arctic and the Far East, where it is particularly difficult to establish a power grid. In 2018, it will start serving the town of Pevek on the Chukchi Peninsula.